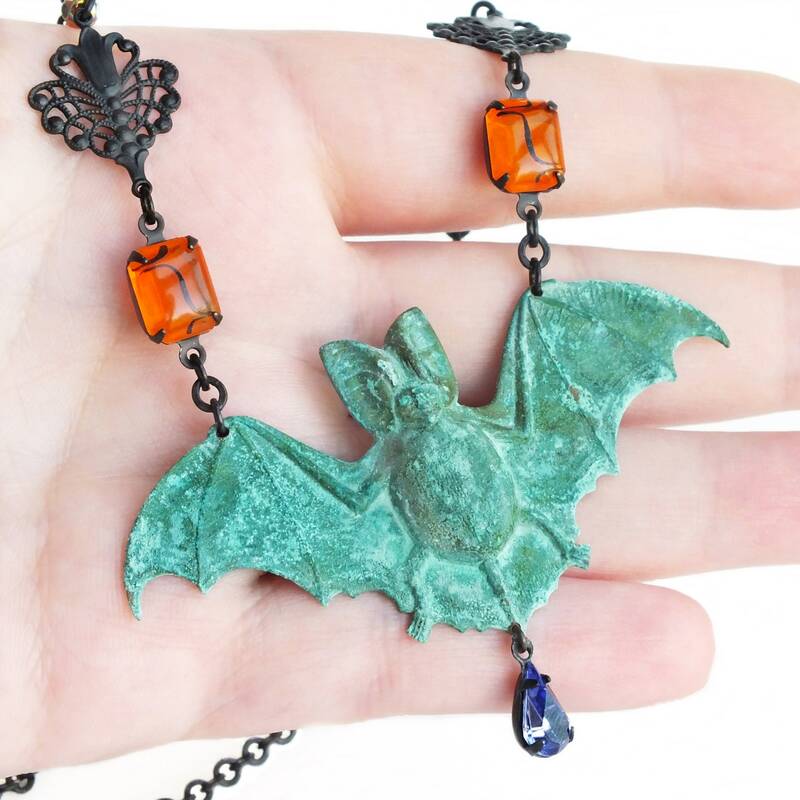 Large handmade Halloween bat necklace with verdigris patina pendant and vintage rhinestones. High quality US made brass pendant and chain. Vintage glass rhinestones and cabochons. 18 inches - 45.7 cm long. 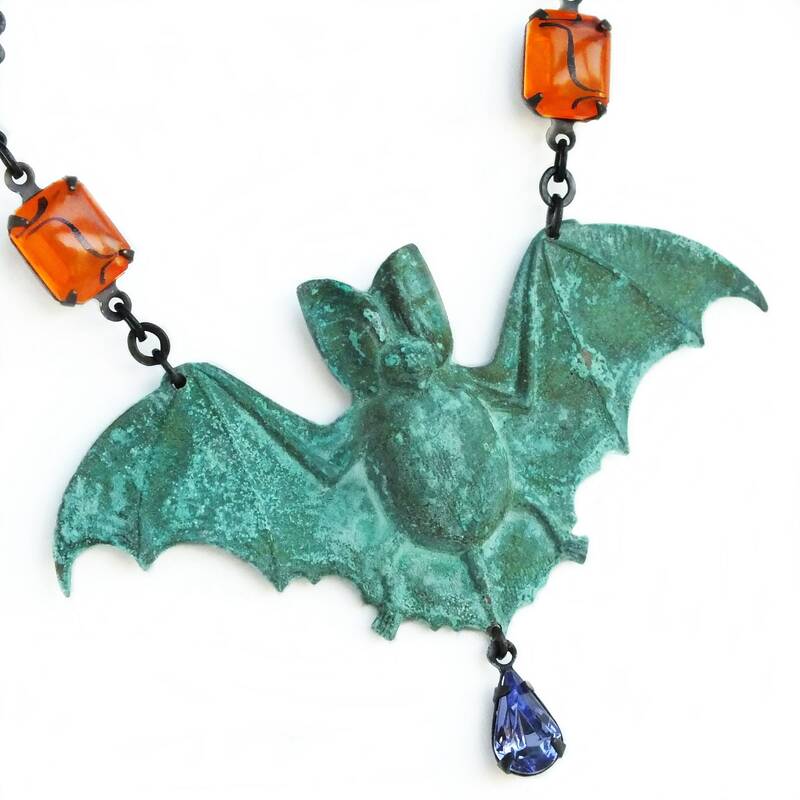 Pendant is 7 cm - 2 3/4 inches across. 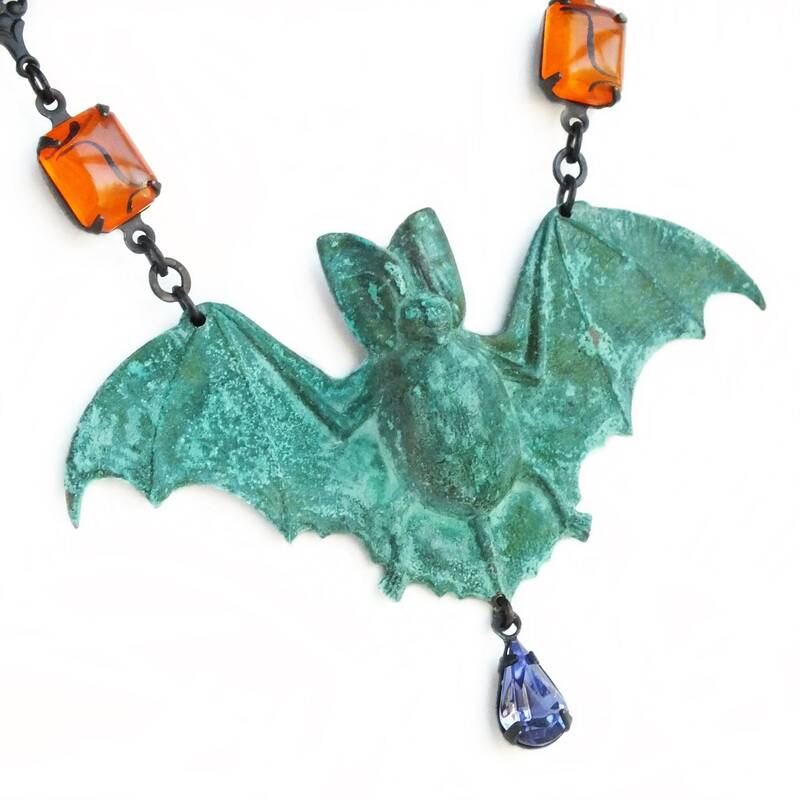 Halloween statement necklace made with a *gorgeous* detailed large flying bat pendant antiqued to a weathered verdigris patina. 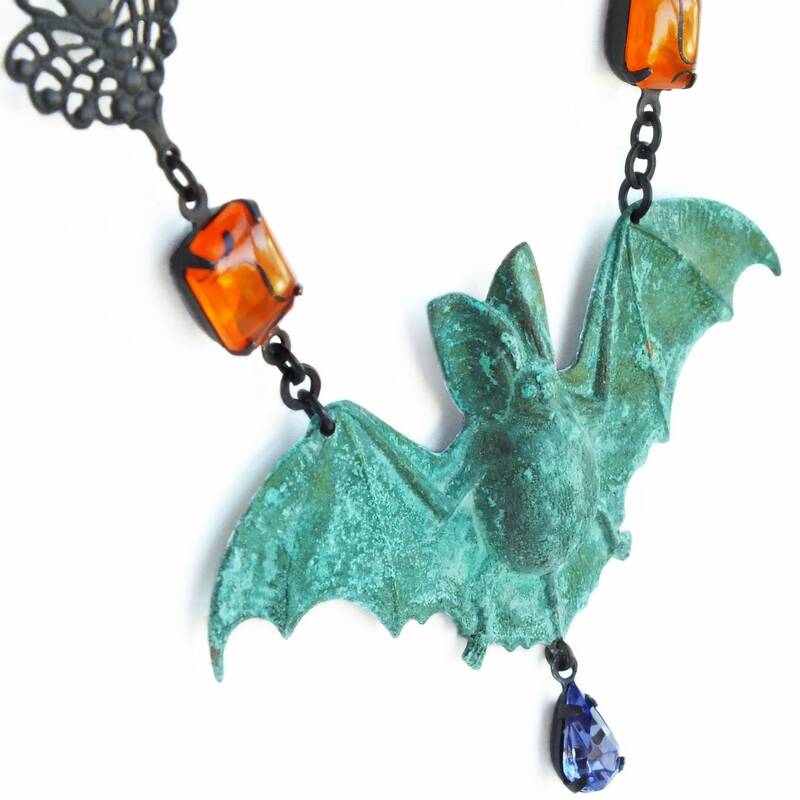 Framed by genuine vintage glowing orange glass cabochons and antique brass filigree. 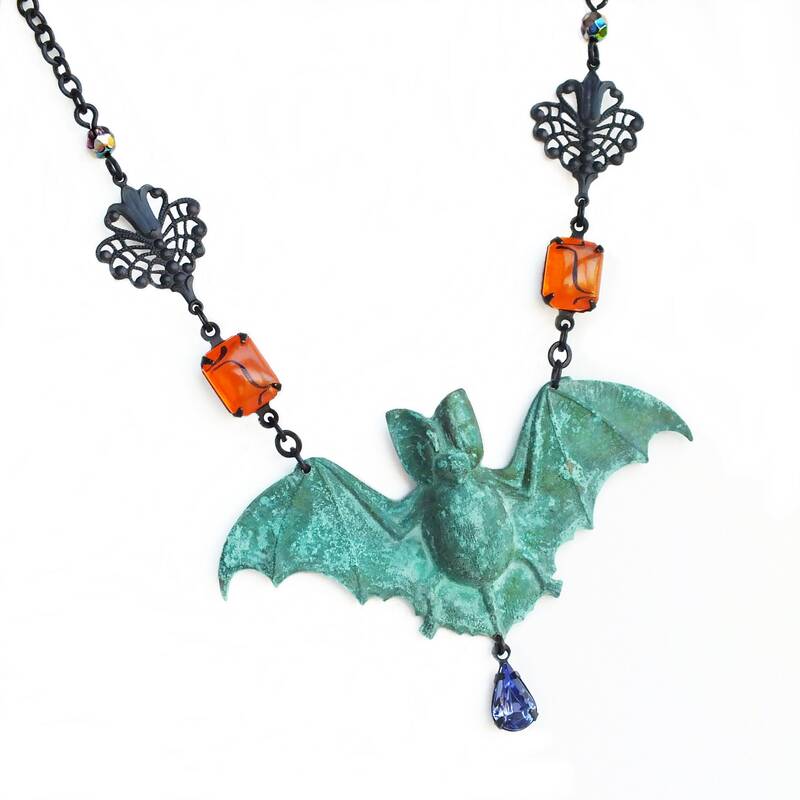 Pendant is adorned with a vintage violet rhinestone drop.